We finally know how the Explosive Bow works. A new Fortnite: Battle Royale update is now live on all platforms and regions. After a short delay, Epic Games pushed live the v8.20 Content Update with its patch notes this morning with no server downtime and no download required for its deployment, and its patch notes are already out. We knew what to expect from this update. 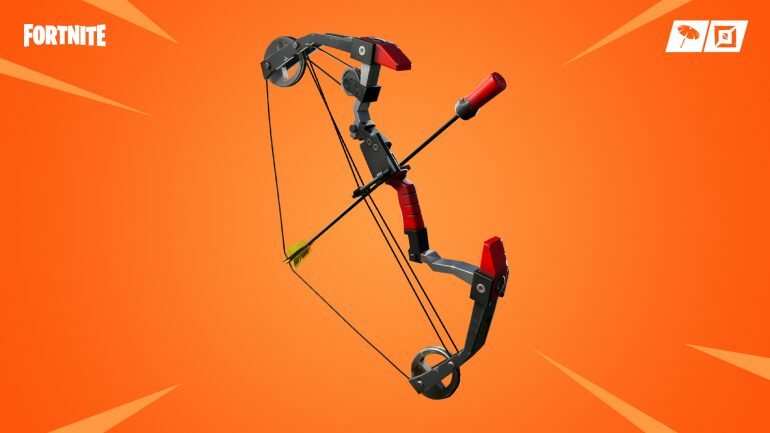 The Explosive Bow was announced two days ago, and the odds were that it was coming in the v8.20 Content Update. Now it’s here. Other changes like bug fixes were also expected, and the small list of changes is understandable. Check out below what’s changed in the v8.20 Fortnite Content Update. And no, Epic hasn’t reverted the removal of the v8.20 Siphon mechanics. Fortnite’s latest weapon is the Explosive Bow. It’s a Legendary weapon that deals 15 damage upon impact but 100 explosive damage immediately after. It uses shotgun ammo to fire, and Epic hasn’t revealed where to find it. It takes 1.6 seconds for the bow to fully charge. Doing so will only increase its range, while the damage will remain unaltered. Epic fixed a few bugs with Fortnite’s Arena Mode, especially some that were happening once players tried to queue in Duos with a friend who was on a higher division. Issues that prevent players from queueing up or from ranking up to another division should now be fixed. No new events, items, or anything else were announced in the v8.20 Content Update.